I spent a month in Japan and can say from personal experience: Yes, Japan is expensive. BUT… definitely not as expensive as you might think! No, prices are not comparable to Southeast Asia. However, I found our average daily expenses to be very similar to our daily costs in New Zealand. So how much does it cost to travel Japan? 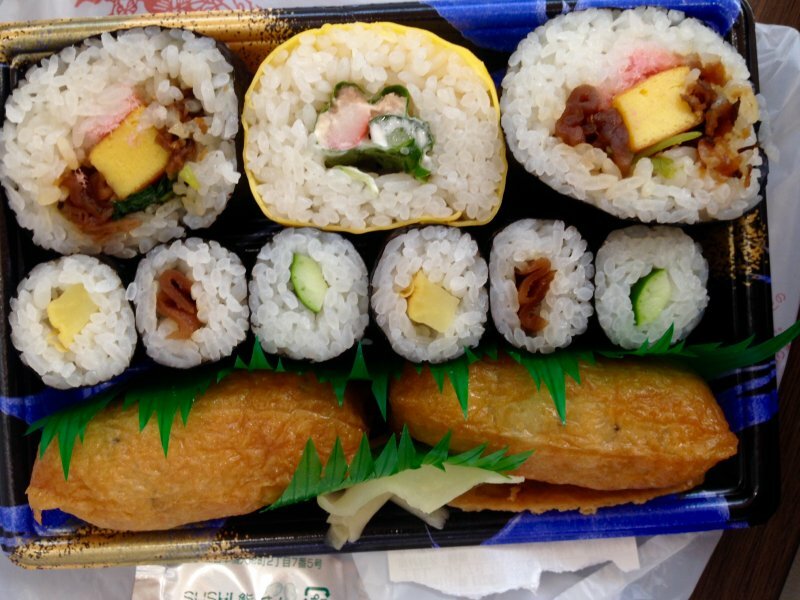 We found that our Japan daily budget was ¥13.418 (€107/$122) for us a couple! Check the infographic below for a detailed information about the costs of a trip to Japan and read along for advice how to travel Japan on a budget. • I traveled Japan with my husband, all expenses mentioned are for the two of us together. • I quote prices in the Japanese Yen (¥) as well as € and $. When we were in Japan, €1 was around 125JPY and $1 was around 110JPY, but as the exchange rate varies this may be different now. • I spent almost a full month in Japan, 29 days to be exact. In total we spent ¥389.122 (€3103/$3538), which comes down to an average of ¥13.418 (€107/$122) a day for us as a couple. This includes all our Japan travel costs (see note below car section). • It does not include our airplane tickets from the Netherlands to Japan and back home. • My trip started and ended in Tokyo, you can find the itinerary here. We spent 10 days on Hokkaido (the northernmost island of Japan) and 19 days on Honshu (the biggest island of Japan). But I digress. 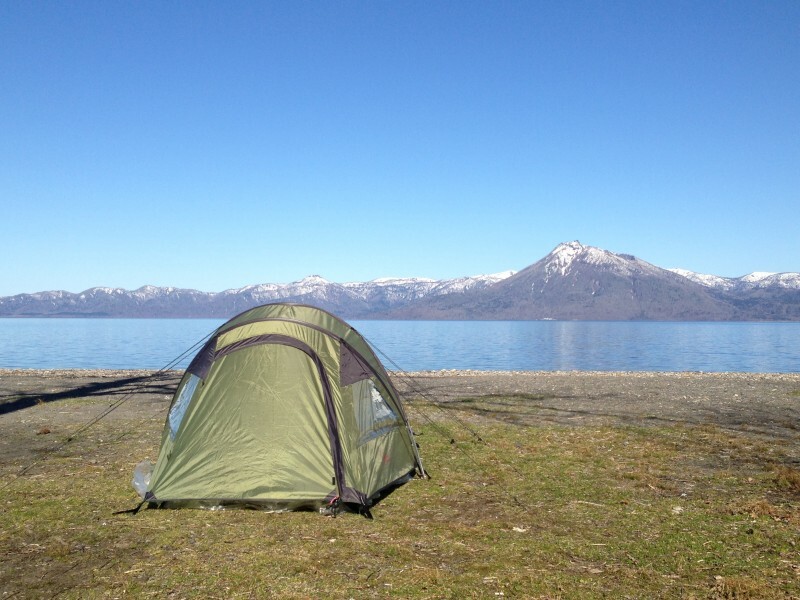 During our road trip on Hokkaido we stayed at 2 campsites. 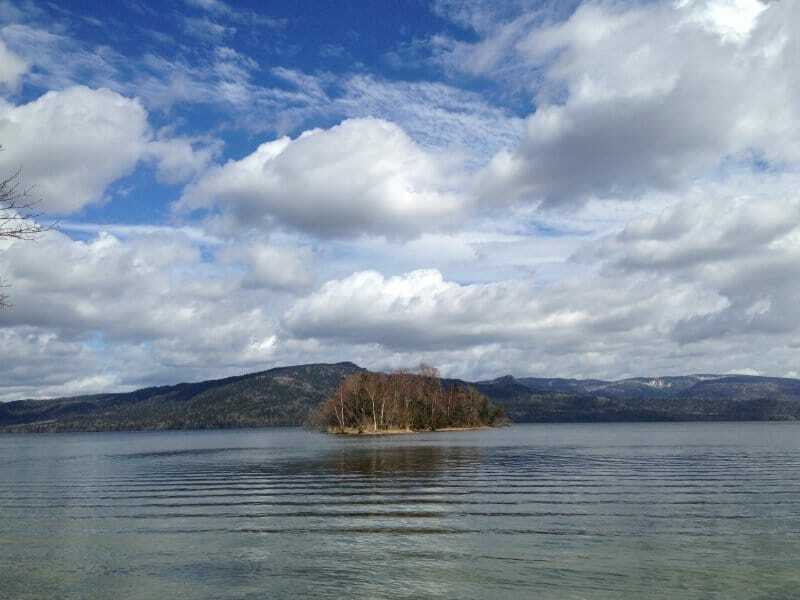 We also went camping on Miyajima island (near Hiroshima) and in Kamikochi (in ). You can find more information about the accommodation we stayed at in our Japan itinerary. I went to Japan in April/May and during that time it can still be very cold on Hokkaido. There were several nights when the temperature dipped below 0 degrees Celsius. Also, we had a little rain every once in a while. This led to us sleeping in our car for 4 nights. Which is totally accepted in Japan! One night it was actually very crowded in the parking lot where we stayed the night, the crowd varied from a business man who slept in his sports car to camper vans complete with their own generator and TV-reception antennae. We stayed at hotels via Agoda and Booking, at Airbnb appartments and a cute wooden cabin in the woods during our trip, 17 nights in total. Prices varied between ¥2700 (€22/$25) and ¥7750 (€62/$70), more than hotels in Southeast Asia but cheaper than New Zealand and similar to accommodation on Sardinia in Europe. There are several budget airlines in Japan (Jetstar, Peach and Vanilla), we flew with Jetstar from Tokyo to New Chitose Airport on Hokkaido and from Hokkaido to Kansai airport, near Osaka, for 21.625JPY (€173/$197). 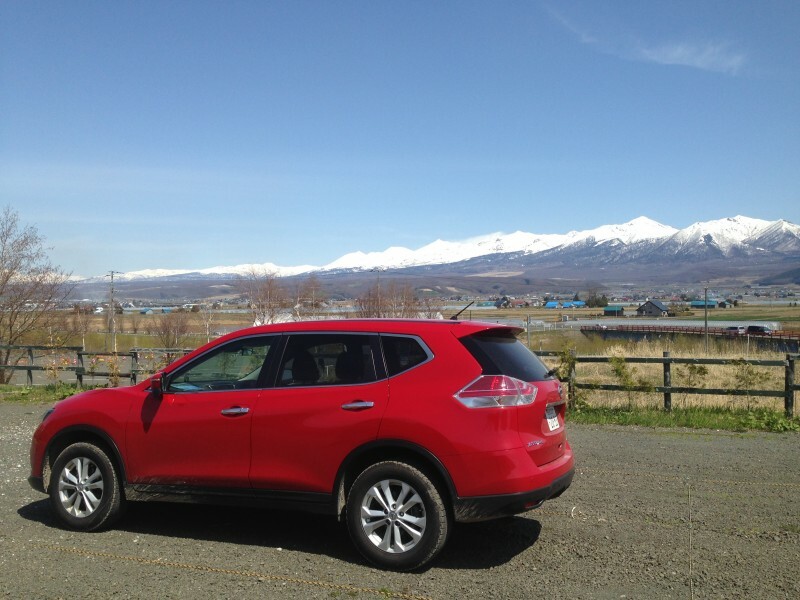 You can read all about renting a car and driving on Hokkaido in this post. 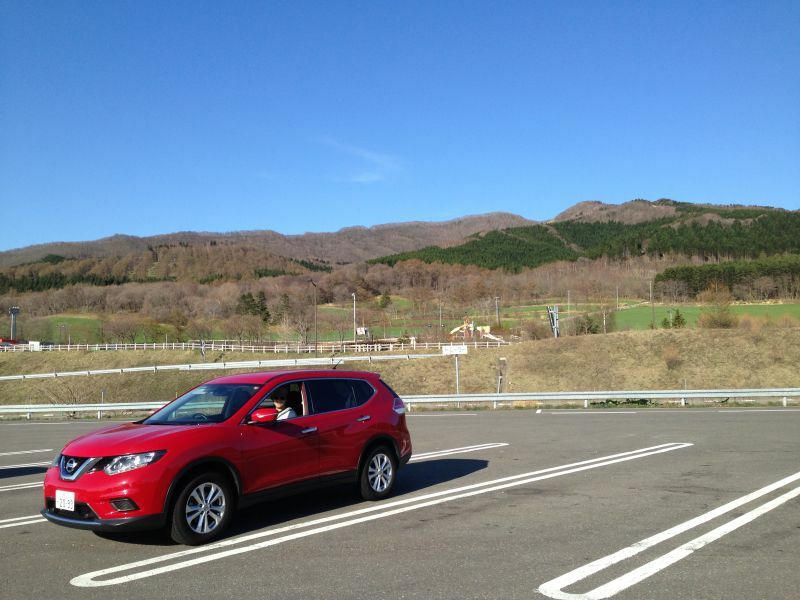 As I state in my Hokkaido post, my car was provided by ToCoo. They were so kind to provide me with a free rental car for my 10 day trip around Hokkaido. However, I would never recommend a product or service on my blog I don’t have a positive and personal experience with. My experience with ToCoo is excellent and I would have rented my car there even if they hadn’t offered me a free car. I did a lot of research about car rental options and found ToCoo offered the best rates and value for money. Plus, ToCoo is one of the car rental companies recommended by Japan Guide, one of the most comprehensive and respected websites about traveling in Japan, which assured me ToCoo is a trustworthy company. Even though the rental fee for my car was provided by ToCoo, there were other costs to pay. You can check out the ‘driving in Japan’ post for the detailed breakdown, for the overall budget suffice to say that the total costs of renting a car for 10 days were ¥42.527, which comes down to ¥4253 (€34/$39) per day. Add to this the daily rental fee of the car you would like to rent and you have your total. If this seems expensive, keep in mind that a car gives you the option to go camping with a tent and to sleep in your car. This will save you a lot of money on accommodation! Upon arriving in Osaka we bought a JR Kansai Hiroshima Area Pass, valid for 5 consecutive days and costing ¥14.000 (€112/$127) per person. I found it great value because it covered all the places we wanted to see in that region. I liked that I didn’t have to buy the pass before arriving in Japan, as is the case with the regular Japan Rail Pass. It left our itinerary open and allowed us to follow the sun:-). 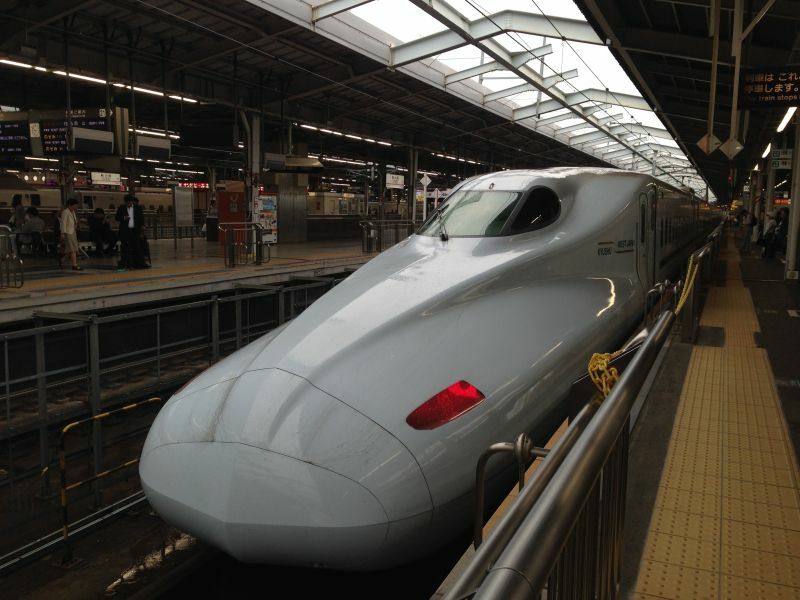 Plus, who wouldn’t want to travel in this spacy looking train! We used a lot of other transport, such as the bus around the Japanese Alps and the metro in Tokyo. Total costs for all other transportation was ¥58.180JPY (€465/$529). 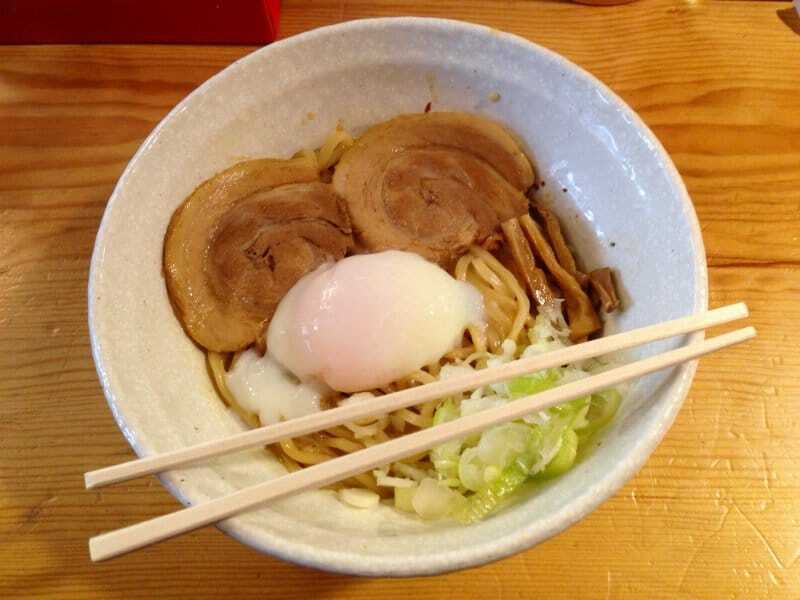 Oh the food in Japan… I loved everything I ate. And I ate a lot… You can read all about it in this post. So much choice and so much delicious dishes! Anyway, back to business;-). In total we spent ¥130.751 (€1044/$1189) on food and some miscellaneous costs, averaging ¥4510 (€36/$41) per day. It’s possible to spend less on food, but I wanted to try out as many dishes as possible. Also, because we were traveling for ‘only’ 1 month instead of 5 months like last year, I didn’t feel the need to find the cheapest option for each meal. That being said, we rarely spent more than ¥1000 on a dish. Miscellaneous is comprised of small expenses like laundry, coin lockers for our luggage and towel rental, etc. Last but not least, we spent ¥15.834 (€116/$145) on paid activities, on average ¥546 JPY (€4/$5) per day. 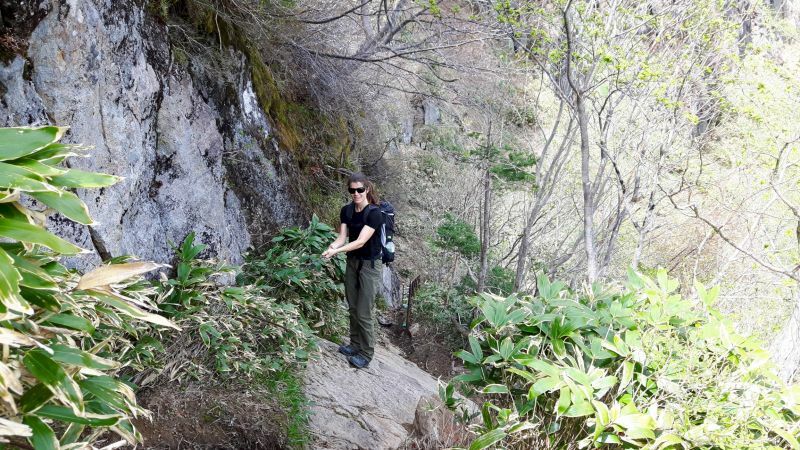 We did a lot of sightseeing in the cities (Tokyo, Kyoto, Hiroshima and Nara) and a lot of hiking in the mountains (Koyasan, Hokkaido and Kamikochi). So that’s all our Japan expenses! In one month I went from hiking in the snow on Hokkaido to climbing to the top of Mount Misen in 30 degrees Celsius at Miyajima island. I scaled a volcano, camped on the shore of the most gorgeous lake, walked under the vermilion Shinto gates in Kyoto and gawked at the neon galore in Tokyo’s Akihabara. I loved my month in Japan, it was worth every single ¥! I’ve visited Japan a few times but still interested to find out more from your post. Interesting infographic breakdown! After reading your post, I hope to visit Hokkaido and even on a self-drive! Thanks for sharing! 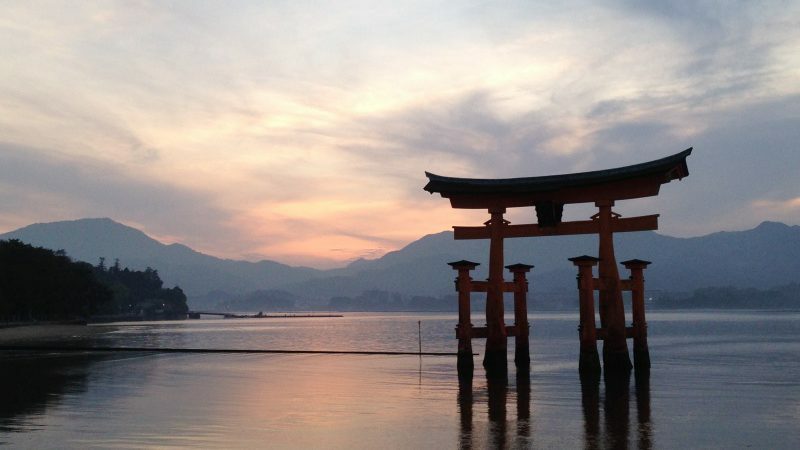 Most detailed helpful advice – we’d love to travel Japan but were wondering what it would cost. Thanks so much for this useful information. Solid accom costs and hey, neat you can sleep in your car. That will lower rent prices 😉 Good deal all around. We intend to visit Japan and know we needs budget a bit more than our trips through SE Asia. Different ball game dollar wise but it’s worth it. Great prices on food too. You guys did well. My wife noted how Japan was a bit more expensive than any place she’s lived in but fell in love with the land, people and quirky nature of this colorful place. This is SUPER helpful as we are heading to Japan end of Jan/start of Feb. We’ll be skiing/snowboarding so that will make it more expensive, but we also have about a week in Tokyo. Any Tokyo accommodation you would specifically recommend for a budget? Where did you stay through AirBnb? Wow that’s awesome Juliette! Where in Japan will you go skiing? 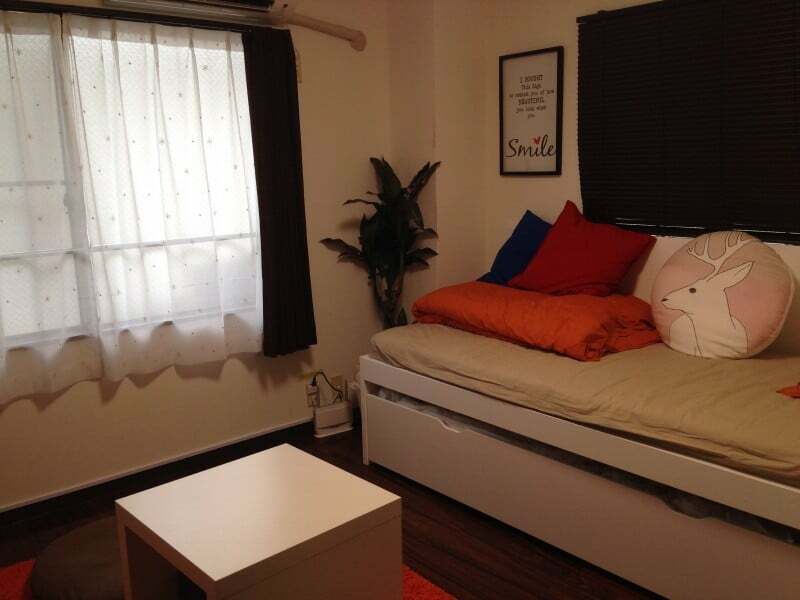 In Tokyo, we stayed at a room near Ikebukuro, you can find it here => https://www.airbnb.nl/rooms/8933904. It was great and not expensive (€38 per night). Great infographic you have! Japan is certainly not an inexpensive country to travel to, but it was definitely worth it when I went there and I would mind going back. It’s great how you showed the numbers in percentage, it shows a lot, especially where to really work the budget at. Happy travels! Thanks Agnes! Happy to hear you like the infographic?. 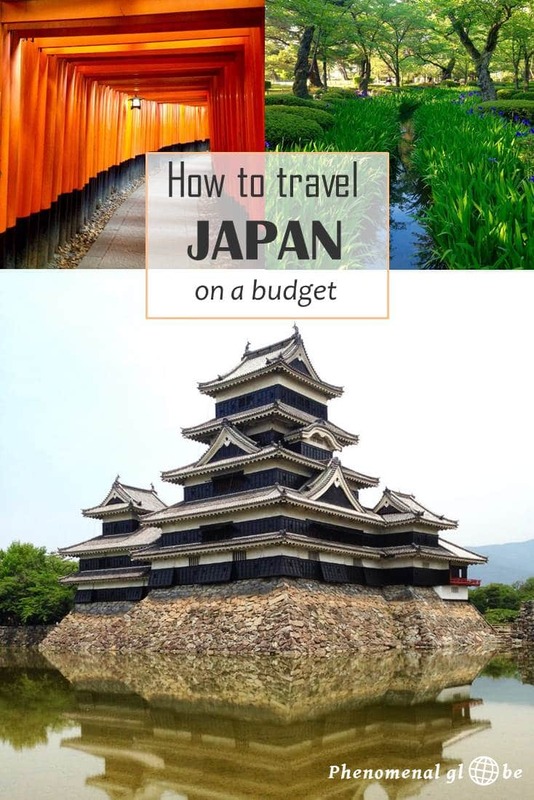 Japan isn’t the cheapest country in Asia to travel, but definitely doable if you make smart budget choices. Happy travels to you too! Haha well it helps to camp;-). And we only had a location specific rail-pass which was a lot cheaper than the nationwide one. Nevertheless, enjoy your trip!!! Thanks for the info. Be heading to Tokyo today and looking forward to it. Gonna read some other posts of you as well! Hi Evelyn, you are most welcome, have a great time in Tokyo! Hello! Is ¥60,000 sufficient for 5 days daily budget for 1 person excluding the airfare and accommodation? Just read through all your posts on Hokkaido, as hubby and I are heading over there for 2 weeks in October. You are a treasure trove of useful info, so already a BIG thanx! 1. Is it too far to drive on the first day after we pick up the rental car from the New Chitose airport? 2. How many nights of accomodation to book to have a nice hiking time around the park? 3. Which base to choose: Sounkyo, Tokachi-dake or Adahidake Onsen? Best wishes from sunny Poland! 3. Adahidake Onsen is tiny (basically only hotels), Sounkyo is a bit bigger and has several restaurants so perhaps that would be a better base. I haven’t been to Tokachi-dake so I don’t know if that would be a suitable place to base yourself, sorry! Interesting reading your blog! I’m arriving in Manila October 26, the day before my birthday. Then on 27 planning on arriving in Tokyo so looking at cost effective accommodation for myself. Could you recommend anything? Thanks for reading:-) Congrats on your birthday! We stayed at a lovely Airbnb in Tokyo, you can find the place here: https://www.airbnb.nl/rooms/8933904. If you have never stayed with Airbnb before you can get a discount with this link: https://www.airbnb.nl/c/leschbach?currency=EUR. Enjoy your trip! Thank you for all that information, is very useful. I have a question: I will be going by myself but I don’t have a driver license. Do you think is possible to move entirely by public transport? Thank you for reading:-) To answer your question, yes, it’s very possible to travel entirely by public transport. The most ‘difficult’ place to navigate without a car is Hokkaido but there are trains and buses there as well so you shouldn’t have any issues. We also just traveled by public transport on Honshu and it was very easy to do so. Have a great trip!